Gifts from the Pirates: "We ape, we mimic, we mock. We act." Sometimes we have a quiet weekend where we just spend time together around the house playing, reading and enjoying each others company and Other times (like this one) we have the kind of weekend that will be permanently etched into the boys memory as two days full of fun and adventure. It all started Saturday morning, we were up bright and early and it was one of those mornings where everyone pulled together to get everything sorted so that we could get out of the door on time, I really wish school days were as effortless as that. Our plan for the start of Saturday was to spend our morning at Delamere forest, high up in the tree's. We had visited both Wyre forest and Cannock chase and both times the boys were mesmerized by the children at Go Ape walking through the trees above them. If I am honest (and I feel so bad for thinking it now) the only reason I had not booked us on the course before was because I though that Seth would back out at the very last minute. We had attempted an indoor course similar when we were in Florida a few years back and as soon as Seth had walked up the starting steps he had a meltdown and we had to come back down. I guess I didn't want to put him in that position again. We arrived at Delamere forest and it was freezing, Mrs M wasn't attempting the course due to her fear of heights and I wasn't sure our camera lady was going to last long outdoors as she really feels the cold. When we arrived at the main cabin a lovely lady called Laura booked us in and took us through the health and safety list, before sending us on our way towards the Tree Top Junior course. I'd just like to point out first that the staff at Go Ape are amazing, friendly, welcoming and most importantly extremely patient when it comes to the kids. A very friendly chap call Joe got us fitted with a harness each, explaining what he was doing and then walked me and the boys around the safety course. The boys really paid attention and when they were quizzed before going on, about the amount of climbers on a platform at a time etc, Seth jumped in excitedly to answer. So, the moment of truth, we walked towards the stairs and despite the excited faces on them both I was still expecting Seth to have a freak out and change his mind, I couldn't have been further from the truth. Seth, without a care in the world didn't even give himself time to think about what he was about to do. He was off like a rocket, I really thought his muscle issues would hinder him slightly but there was nothing slowing that boy down, I was so proud of him. Opeie surprisingly did not want to go and started to get a little upset. I did my best to get him to attempt the first step but he definitely wasn't going to budge for me, he just wanted a cuddle. Then like some sort of tree climbing super hero Joe calmed Opeie right down by attaching himself to him with a Carabiner. He was still a little dubious about what he was doing but Joe talked to him all the way round. It seemed like Seth had been waiting for ever for us at the Zip wire, he must have whizzed around the course. At the zip wire another member of staff (unfortunately I can't remember the guys name) explained what to do and again Seth just threw himself off, It was awesome to watch. Opeie had a bit of a wobble again but then 'DER DER DERDER... Super Joe to the rescue again to talk Opeie in to feeling confident, what a guy. Opeie was soon shooting down the wire shouting 'WOO-HOO'. *Mrs M saved the day right before Zipwire #1 by popping to the Go Ape store to get me some gloves, I had managed to pack some for the boys but not myself and my fingers felt like they were going to snap off, Go Mrs M!!! Time to hit the course again, this time though I was going to be the super hero and when asked if Opeie wanted to be attached to someone again Opeie said "No I'm going to go on with Daddy", take that super Joe! Seth disappeared in a blink of an eye which was fine as he was securely attached to the course and I think it did him some good for his confidence to not have me checking he was okay. So the moment of truth, Opeie and super dad on the first obstacle.... Sadly he wasn't going anywhere again, I used to think I was good at those father/son motivational speeches but here I was up in a tree going nowhere. Yes I bet you can guess what happened next, below us on the ground came a voice. Super Joe was at it again and managed to talk Opeie across the first 2 obstacles, was there no end to this guys powers? After that it was smooth sailing for me and Opeie and he was having an amazing time. We made our way to the end of the course again and hit the zipwire like a pro, Well Opeie did, I ungracefully hit the ground like a sack of spuds every time, dragging my bum through the dirt. It was clear at this point that Seth was eager to attempt the harder course, so while me and Opeie went round the easier course again, Seth with this new found confidence set about his mission. As me and Opeie went around the course I was watching Seth and he was doing great. He did manage to loose his balance early on during the course and was sitting on one of the platforms but he picked himself up and continued along, what an awesome kid. Me and Opeie completed the course again and he let me know that he had had enough. There was 10 minutes left of our visit so I was going to call it a day and just watch Seth. I spotted two kids get on after Seth that looked like they were eager to get round the harder course and Seth looked like he was in a spot of bother so I clipped on to the harder course and followed them round thinking I could at least calm Seth down a little if he got stressed out. There was one obstacle that Seth really struggled with because of how wobbly the platforms were and he ended up on his bottom again. I think he'd have been fine getting up if he had been left to his own devices but the two boys behind him were putting unnecessary pressure on him to get moving which made him struggle a little more. Thank fully Super Joe was on hand again to climb across and help him up. Seth got round the harder course and that little twitching smile in the corner of his mouth told us that he was really proud of what he had achieved and rightly so, he had blown me away and I was so proud of him. It was an amazing morning for us and the boys didn't stop talking about the experience all day. For confidence building and excitement I cant recommend Go Ape enough. The course was fantastic but aside from the excitement and pride on the boys faces, what really made it for me was the staff. 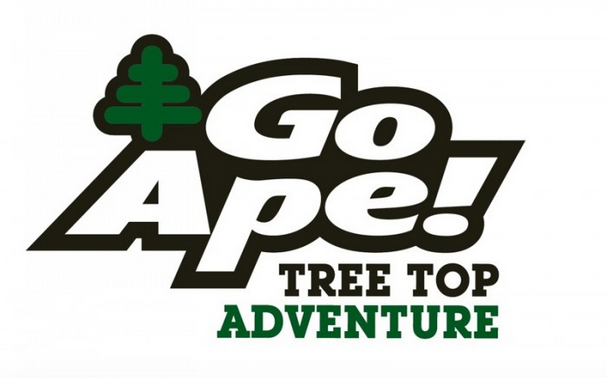 Go Ape is definitely an experience we want to have again soon.